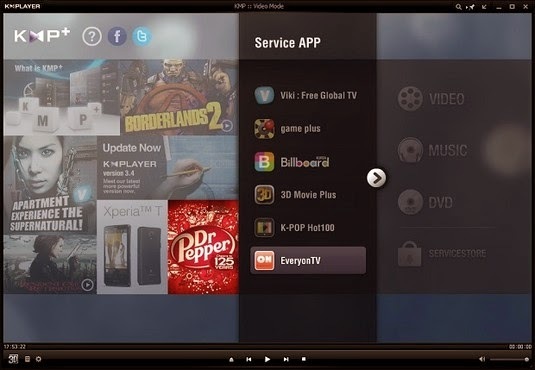 KMPlayer is a specialized audio and video player for Windows from a Korean streaming video company called Pandora TV. Since its initial release, the tool has brought us many exciting features such as a wide range of playback formats, video preview, DirectShow merit system, completely customizable interface, and many more. KMPlayer’s latest stable version 3.8 was released recently with improved features and support. 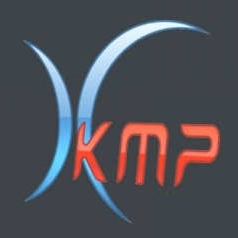 KMPlayer is one of the world’s most popular and unique multimedia players that has users in 230+ countries and is supported in 36 languages. This tool has several names, but mostly labeled as KMPlayer or KMP. Because KMP has its own internal codec, the user has no need to install other types of codec. It offers an excellent multimedia playback experience supporting several video and audio formats along with various subtitles. Support playing J2J (Java-to-Java) method modulated files. Functions - Image processing and resizing functions, Video and Image capture functions, Wallpaper viewing function, Speech processing function, Input/Output color face function, Frequency analysis & wavy pattern output function when playing music, Skin function, Subtitle function, Real-time Broadcast viewing function and Jog & Shuttle for language studying function/section repetition function. A free and stable mobile version of KMPlayer is available for Android and Apple devices which can be downloaded from their respective App stores. You can watch high resolution videos that don’t require separate encoding. A simple yet sleek interface with essential features is accessible. You can manage multimedia files on your mobile device easily like you did on your desktop. Overall, KMPlayer 3.8 is a decent version which includes the above listed features and you may receive the “Cloud KMP” feature ASAP, by which you can easily manage your media library files that were edited in Album Art and can be synchronized anytime, anywhere.